Who emerged from the Independence Day Battle Royal as the #1 Contender for the United States Title? Who interrupted John Cena's return and ended up with a Flag Match against Cena at Battleground? 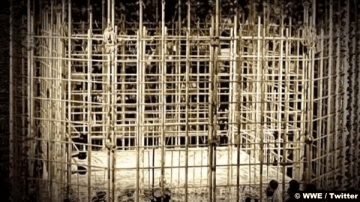 How did Randy Orton show what he is capable of inside the Punjabi Prison? Was Lana able to take advantage of her third SmackDown Women's Title match against Naomi? Who won the Rap Battle between The New Day and The Usos? 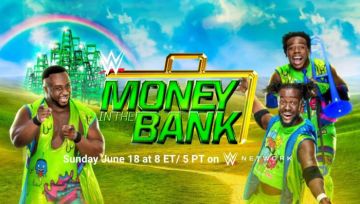 Who emerged from the second Women's Money-in-the-Bank Ladder Match as "Ms. Money-in-the-Bank"? 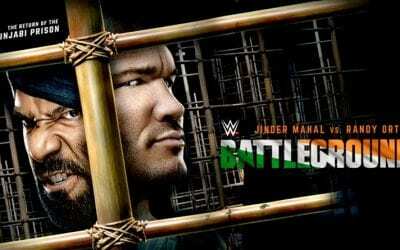 Which unique match is Jinder Mahal resurrecting for his rematch against Randy Orton at Battleground? Was Lana able to take advantage of a second opportunity at the SmackDown Women's Title? Was Sami Zayn able to defeat "Mr. Money-in-the-Bank"? Who will challenge The Usos for the SmackDown Tag Team Titles at Battleground? Was Jinder Mahal able to escape SmackDown LIVE unscathed with both Randy Orton and Baron Corbin keeping a close eye on the champion? What blockbuster announcement did Daniel Bryan make regarding the Women's Money-in-the-Bank Ladder Match? Who answered Kevin Owens' open challenge for a United States Title match? Was Dolph Ziggler able to defeat Shinsuke Nakamura in their Backlash rematch? Who was left symbolically standing atop the ladder in possession of the Money-in-the-Bank briefcase? How did Randy Orton get to the WWE Champion prior to their rematch this Sunday? How did The New Day pick up some momentum in 8-Man Tag action? How did Lana send a message to Naomi ahead of their match for the SmackDown Women's Title? How did Dolph Ziggler spoil AJ Styles' return to his home state? Which team made their SmackDown LIVE debut to challenge The Usos for WWE Money-in-the-Bank? What historic announcement did Shane McMahon have regarding the SmackDown Women's Title picture? What did Randy Orton have to say in his first appearance since losing the WWE Championship? 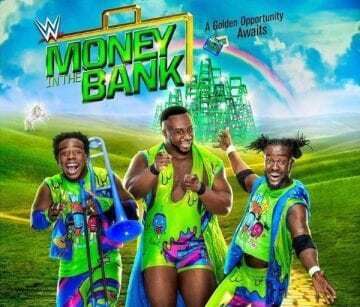 Who will be competing in this year's Money-in-the-Bank Ladder Match? Who made for a formidable tag team in the main event? How did Baron Corbin respond to losing to Sami Zayn in quick fashion? What kind of lavish celebration did Jinder Mahal have to celebrate winning the WWE Title? How did Breezango earn themselves a rematch for the SmackDown Tag Team Titles? Who will challenge Randy Orton for the WWE Championship? Who will go one-on-one for the prestigious United States Championship at Backlash? Who will be Shinsuke Nakamura's first opponent on the main roster? What's in store for the Backlash Kickoff? How did Randy Orton fall to the numbers game by Jinder Mahal & The Singh Brothers? How did Kevin Owens cost AJ Styles a big match on SmackDown LIVE? How did chaos ensue ahead of the 6-Woman Tag Match at Backlash? What did The Usos have to say to Breezango ahead of their title match this Sunday? How did Jinder Mahal prove that he is more than capable of winning the WWE Title at Backlash? How did Becky Lynch get Naomi and Charlotte Flair on the same page? What message did The Usos have for Breezango? What happened when Shinsuke Nakamura and Dolph Ziggler came face-to-face in the middle of the ring? Who emerged victorious in a match between former brothers Luke Harper and Erick Rowan? How did Kevin Owens take things too far following his main event match against Chris Jericho? Which side did Becky Lynch choose in the battle for dominance in the SmackDown Women's Division? How did The Singh Brothers pay dividends for Jinder Mahal in his match against Sami Zayn? Who will challenge for the United States Championship at Backlash? Who will Randy Orton be defending the WWE Championship against? Who will compete for the SmackDown Tag Team Titles? How did AJ Styles have a run-in with United States Champion Kevin Owens during the main event? Who unexpectedly became the new #1 Contender for the WWE Title at Backlash? Was Charlotte Flair able to defeat Naomi to earn herself a title match? 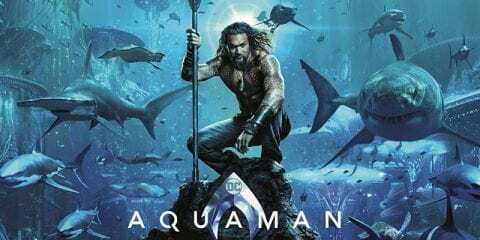 Were American Alpha able to get their revenge against The Colons? What message did Bray Wyatt have for Randy Orton?